The reason behind the scheme of EPF is to give a boost to the retirement savings for the employees all over in India. EPF is all corpus of funds that is built from the monthly, regular contribution that is made by the employee and her/his employer. The fixed rate is used on the contributed amount to the fund. The employees earn the interest on their Balance under EPF. The amount that will be withdrawn at maturity or the interest that was earned will be Tax-Free. The EPF balance is the money or amount that you invest or save in your EPF account. How it works ? on every single month an amount is deducted from your monthly salary as well as deduct from the employer who is contributed to your PF account. The biggest help that EPF did was giving the ability to every person to check their EPF Balance so they can relax for their savings for retirement. In the Year 2013, The Employee’s Provident Fund (EPF) launched the online platform for their members to get the inquiry. The biggest motive behind this is to give the flexibility or a quick access to all the employees to get the statistics related to their EPF Account Balance. This facility from the EPF converts the old process (that was such as a headache) into an easy task to get the insights into the status of the EPF account especially when someone wish to avail a loan against EPF or to withdraw their PF amount. Update: EPFO also launched a missed call service to get the inquiry and official mobile app to give all the benefits & flexibility to the subscribers. Check PF balance by downloading PF Passbook via member portal. If you want to download the e-passbook, all the members must log in to the official member portal. After the page loads click onto the “Download e-passbook”. 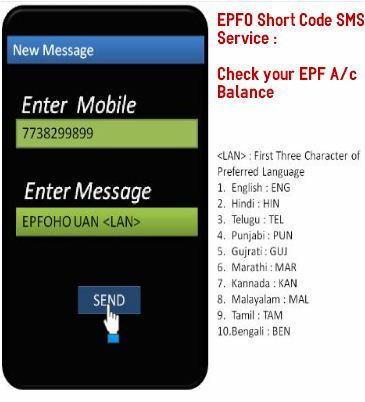 After you redirect to the new page there will be some details that every member has to fill such as State (where the EPF office is located), specific EPF office within the state, The employer PF Code, Giving the PF account number of the employee must and should be submitted to generate the PIN on the registered mobile number. Once the process is completed, The E-passbook will be available for download on the same page after 3 working days. In the EPF there is a Universal Account Number which is given to the members who are eligible. EPF will not be changed if an employee changes their job. After generating the UAN the members will get/receive a monthly SMS which includes the balance amount and the contribution. This process can be used to check the current balance amount in PF Account via an SMS that you’ll gonna receive onto your registered mobile number in your language. Go to the message app into your mobile and click on the new message after that put this number “7738299899” into the blank space given from your registered mobile number. The format on which you have to send the message should be EPFOHO UAN <ENG> (for receiving the message in English). After the member sends the message successfully, They’ll receive an SMS with the balance details he/she want. This method is currently using most of the subscribers because of the ease of access to the PF details. 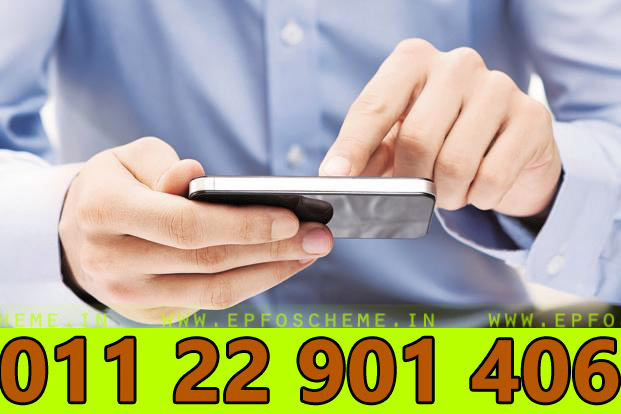 Just simply download the mobile app to your smartphone from the official website of employees provident fund organisation (EPFO), So you can receive the PF balance after you put in the registered number and UAN. This app can also be used to activate the Universal Account Number (UAN). Pensioners (pension status) and Employers (transaction status) Both can use this app. 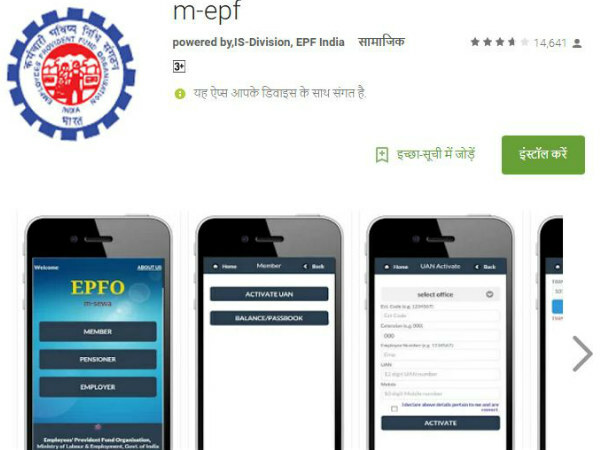 Our article on Check PF Balance via EPF Mobile App – Activate UAN, Download PF Passbook Online will help you to guide more about the m-epf app. Miss call service is the easiest way to know about your PF balance and other information related to your PF like PF number, Name, Date of Birth, EPF balance, Last Contribution. Just give a missed call on to the given number down below after that EPFO will send you an SMS. This SMS contains the information about the EPF balance in your account. This method is not used by people very often. The process under this will start after you update your details to the “Know your PF balance page” such as your mobile number and PF number. What will happen after this process is that you’ll get the details related to the contribution of the employer, pension amount as well as the employee contribution. I have forgotten my UAN password and don’t know the procedure to update the same. Please help me, tell me the procedure that I can follow so that i can access my UAN account as soon as possible. Most of the PF members forgot their PF password in their day to day life. If you forgot your password, You can follow the given steps. Once you set your password, Click on the “Submit” button. 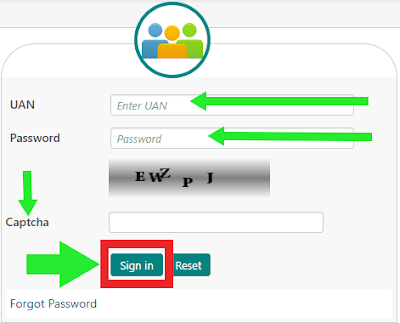 If this information is not enough for you, CLICK HERE to get in-depth details on “Reste UAN Password”. If you have any other queries, please feel free to ask. We’ll happy to help you. My gender and the name of My father are incorrect on my EPFO data, and whenever I’m trying to update, it’s giving error “Aadhaar is already verified. Your details aren’t editable.”. Please tell me what can i do now. Whether the gender OR your father’s name details are as per Aadhaar? My Name is Mohammed Sharif and in my PF Account, it is mentioned as Md Sharif. Let me tell you that in my Aadhar Card, my name is mentioned as Md Sharif and my Aadhar Card is already verified with my pf account. So, now I want to update my name in my PF Account as Mohammed Sharif. Can you please tell me whether is it possible to update it the after name correction in Aadhar Card? Yes Sir, you can update your name as Mohammed Sharif from Md Sharif through your employer. Just go to your employer as tell him the issue. I am not able to download my EPF passbook for checking the balance. Please help me to clear this issue so that I can download the passbook. What type of issue and error you are getting during the time or downloading PF Passbook? Let us know with your reply. contact your employer”), what is this issue and how can i view my other Passbook. please help to resolve my both cases. Sir, please change my name BIRAKISHORE MOHAPATRA to BIRA KISHORE MOHAPATRA (only ONE Space , BIRAKISHORE TO BIRA KISHORE). My UAN NO. 100115709042. Plz. update my name.